Located after diani beach junction on the first corner after cooperative bank ukunda. Its enclosed in a secure gate with security 24hrs. 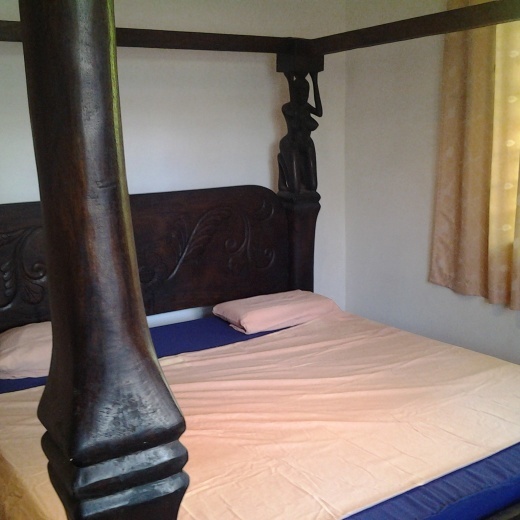 The 2 bedroom apartment can accommodate up to 5 people. cleaning service available 3 times a week. Washing machine available. Palm trees from the local nursery create beautiful garden.Large verandas with huge hand carved sofas embellish the apartment. 5 minutes walk to the beach and to nakumatt shopping centre. Local tour can be done up on request.